Microsoft continues to set the standard for relationship database management with the new Microsoft SQL Server 2016! Workloads are delivered with better performance than ever with a new platform allowing for hybrid cloud. This hybrid cloud platform empowers IT Professionals using SQL Server 2016 to build, deploy, and manage their database spanning from on-premise to the cloud. Aventis Systems offers Microsoft SQL Server 2016 in licensing by host server and by core. Per core licensing gives customers a more accurate measure of computing power and a more consistent way to measure licensing needs. User CALs are also offered to ensure your business stays covered with Microsoft licensing terms. Shop below to get the best in database management with Microsoft SQL Server 2016! ALL Microsoft SQL Server 2016 Core Licenses Require a Minimum of 4 Cores Purchased for New SQL 2016 Customers! Looking to still utilize the features of Microsoft SQL 2014? Microsoft SQL Server 2016 has downgrade rights to the previous version! Looking for more Aventis Systems offerings on Microsoft software? 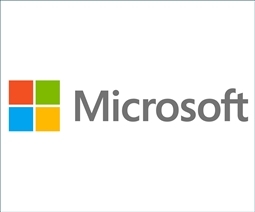 Check out our Microsoft section for all the best from Microsoft to meet your IT requirements. Also, check out our complete Software product offerings from OEMs such as Symantec, VMWare, Veeam, Acronis, Adobe, McAfee, and Red Hat!